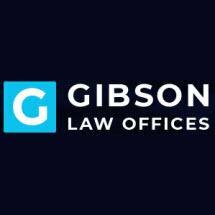 Gibson Law Offices assists people in Louisville, Kentucky, with a wide range of legal issues, including car accidents, divorce, child custody, alimony/ maintenance, property division, and probate and wills. Our compassionate attorney also represents those who face criminal charges such as DUIs, assault, domestic violence, shoplifting and misdemeanor drug offenses. We understand that going through these times is often overwhelming, and our attorney has the experience necessary to help simplify the legal process. During the free initial consultation at our offices, we focus on the matter at hand. After listening to the details surrounding the situation, we will help explore all legal options and find the best course of action. For the past 25 years, attorney Ken Gibson has handled cases for clients throughout Jefferson, Oldham, Shelby and Bullitt counties. Each case is unique, and we tailor our approach to our client’s needs. From negotiations to mediations and collaborative law and aggressive litigation, our attorney will work hard to maximize the outcome of your case. At Gibson Law Offices, we use our experience and knowledge of state statutes and case law to assist in the legal process. We have worked hard to assemble a client-centered practice dedicated to building long-lasting relationships.